Wellness. This is the dominant sensation at Christeyns Italia headquarters in Pessano con Bornago, on the outskirts of Milan. Wellness that translates to luminous environment, natural smiles and focus on work but without any signs of stress. This happens in places where work means teamwork that leads to achieving goals and sharing the winning strategy. The new entry product by Christeyns, their Cool Chemistry is more and more requested by industrial laundries today. Produced in the factory in Pessano con Bornago, it meets the steady increase in the demand. The new chemistry by Christeyns guarantees to obtain the maximum level of cleaning. It is fresh, light and it does not wear the linen out as it is “gentle” on fabrics with its detergents and bleachers active at 40 degrees, a low thermal value. Without adding the salts, it guarantees not only energy saving but it also protects the fabrics and their durability over time. Fabrics treated at a such low temperature won’t wear out as quickly as those constantly treated at 70 or 80 degrees which is what happens if the right washing tools are missing. Just one year of promotion and sales of the product was enough for more than twenty Italian industrial laundries to appreciate this new entry by Christeyns to the point that Cool Chemistry has become their permanently supplied product. Simply because this is what the excellent businesses of today are looking for. 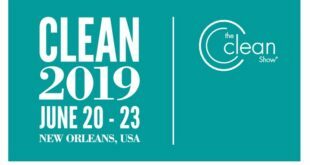 They have caught the growing importance of “how to wash” skill in the market where topics like environmental protection, sustainability and energy saving have acquired a significant meaning. Let us take the Heat-X Energo by Christyeyns as an example. It as a self-cleaning heat exchanger that can operate even on particularly dirty waste water making the costs drop significantly without any maintenance charges. Cool products and cool company that creates and promotes them. That is why it all adds up at Christeyns Italia headquarters. 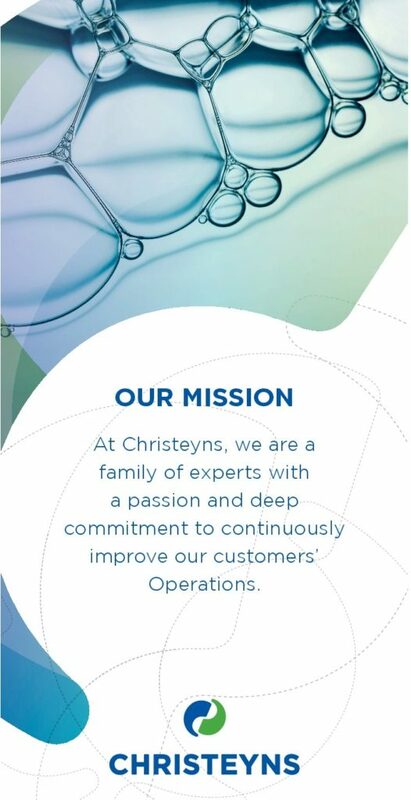 Just at the entrance to the building, a roll-up talks about what the company mission really is: “At Christeyns, we are a family of experts with a passion and deep commitment to continuously improve our customers’ operations”. Where the key word is “family” that Livio Bassan, the Managing Director at Christeyns Italia, underlines. 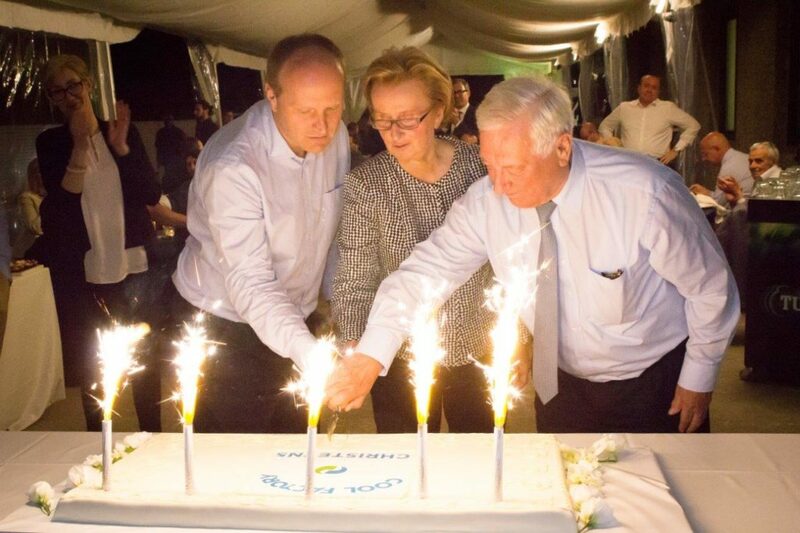 “It is good to remember that the multinational business we are talking about today – says Bassan – was founded as a family business in 1946 by Jules Robert Christeyns in Gand, Belgium. They produced natural soap. 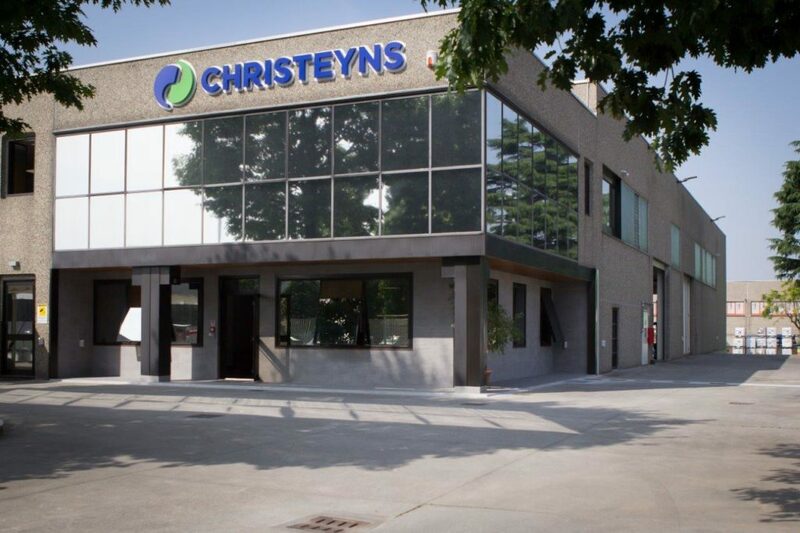 Since then, in spite of all the developments and acquisitions over time, Christeyns brand has always kept the family business dimension in its DNA. Its crucial added value is the relation that makes a difference for a developed market of today”. The well-established business in Europe, where the company was founded, is now expanding also in America and in the Gulf area. It is clearly perceivable that Christeyns Italia is not just a simple name with which one defines the Italian “branch” of the brand. What it means instead is the “made in Italy” excellence applied specifically to the Italian market with all its history and features. 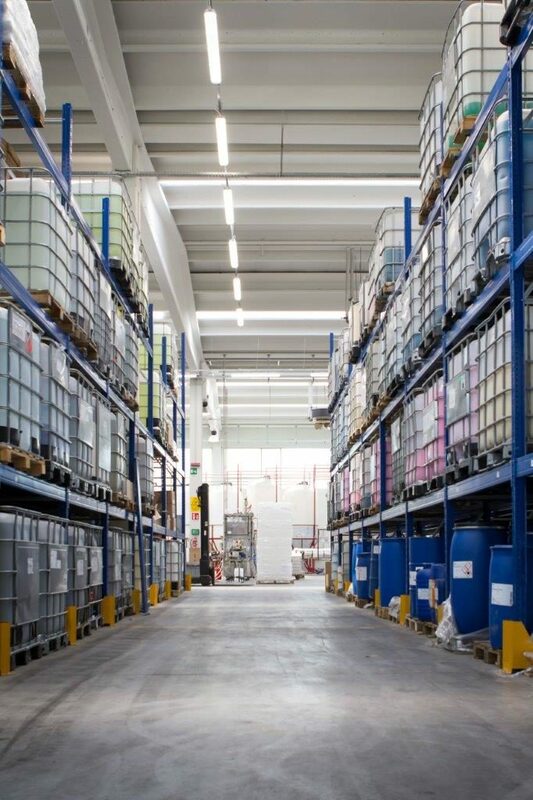 It is supplied by four storage units at the factory in Pessano con Bornago from where tank trucks transport detergents and additives to industrial laundries daily. Supplied by Christeyns, they constitute a tangible sign of a “relation” to be intended as a constant transfer of integral quality, relative to both chemistry and the philosophy that inspired it. Obviously, given the international work environment, such highly set objectives can be reached only if there is full collaboration and exchange between the subjects. Consequently, Christeyns Italia can benefit, just like all the branches in other countries in the world, from research results, tests and patents obtained by four research centers of the company. 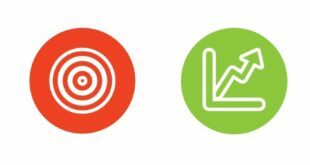 The investment in the research has always been considered crucial to expand the business model globally which undoubtedly relates to the turnover and the continuously developing know how. Only in this way can a business make use of serious and accurate study such as the one that brought Christeyns to the development of YSK. The product removes stains left by sunscreen creams which are a real challenge for laundries. Today, it is possible to remove them thanks to this thoroughly tested product. This is how Christeyns’s knowledge and experience grow which is translated to solid solutions provided also to niche markets. Italy has been witnessing the phenomena of the growth in the number of medium dimension laundries that use both wet and dry-cleaning machines: Aqua Wave line by Christeyns provides the most suitable and profitable solutions for both. The latter adjective, “profitable”, acquires a critical meaning in the expansion policy by this international business with one of its headquarters in Italy. 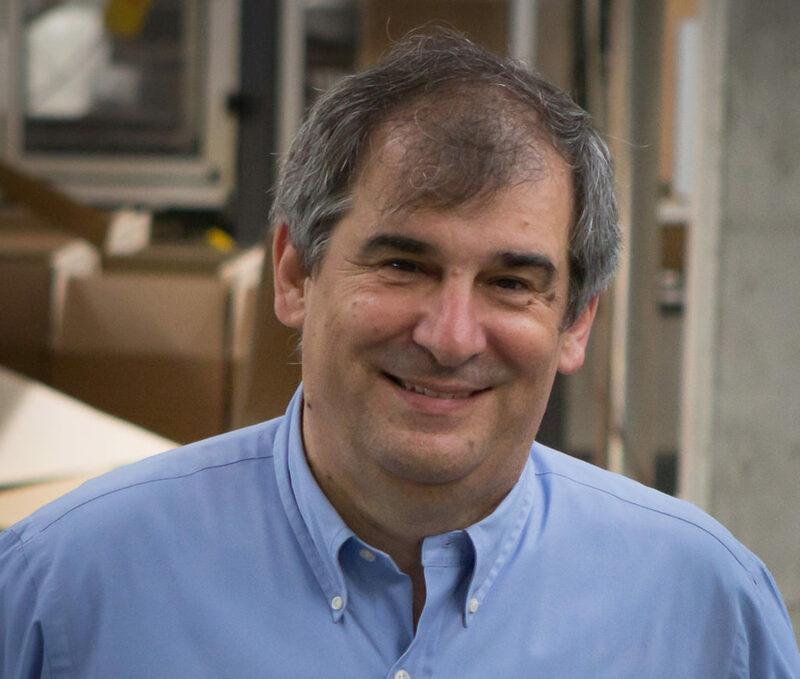 “Surely, – Livio Bassan confirms – the partnership we establish with our clients aims at competitivity and long-term consolidation: these aims can be reached thanks to the products Christeyns offers as they contribute to the sharp decrease in water consumption and Co2 emission as well as to the significant energy saving”. 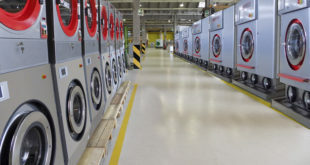 Costs reduction allows laundries to be competitive by aiming at the quality exclusively. It will then allow them to charge the coherent amount by establishing right prices without necessarily applying short-term commercial policy that is often based on quite low prices. The latter ones will end up killing the market by lowering the competitiveness and decreasing the offer in a rather destructive way for the entire sector. Therefore, “Christeyns Wellness” defines an integral model in terms of production, relations, marketing and attention to profit. 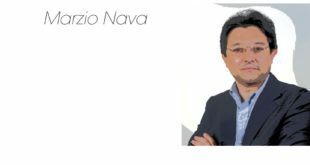 “This type of a business model makes us all proud at Christeyns Italia – Livio Bassan concludes – as it is based on participation and sharing goals”. Teamwork. The best to win.